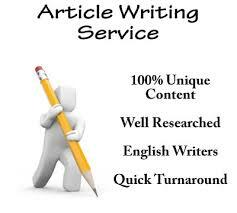 We have a team of professional and experienced Freelance Writers, therefore the content is of Optimal Quality and of 100% Original content; without the help of any automated software, only with the mental ability of the writer. "All our content is passed by Copyscape before its delivery"
We are experts who will help you in case you require it, to make the content for your website or blog effective and SEO friendly to the search engines. SEO optimization is very important, when it comes to positioning to attract more visitors to your online business. We understand that business on the internet is one of perseverance and perseverance, that is why we try to always keep our prices low and so that our web content is accessible to everyone. You can take advantage of the best prices in wholesale purchases! 1500 word SEO OPTIMIZED ARTICLES is ranked 5 out of 5. Based on 6 user reviews.